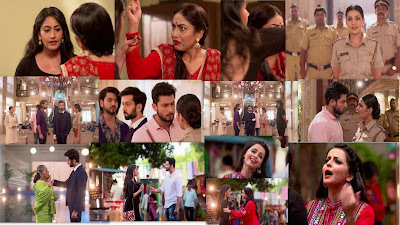 Home ishqbaaaz Ishqbaaaz 21st June 2018 Episode Written Update"Anika-Shivaay's Parents Past Revealed"
Ishqbaaaz 21st June 2018 Episode Written Update"Anika-Shivaay's Parents Past Revealed"
Episode starts with Anika desperately needs a job to fulfill all her responsibilities towards the siblings. Her aunt gets angry on her once again. She tells Anika that she can reveal her mum’s shameless acts to Gauri, which will make Gauri’s pride shatter. 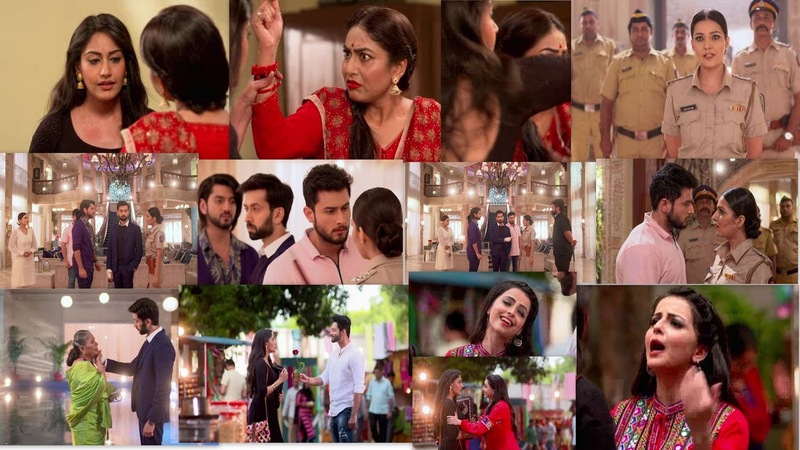 Anika warns her against hurting Gauri’s heart. She tells her aunt that she can have courage like Gauri, she is decent, but not weak, she can do anything for her family. Anika proves that she is also similar to Shivay when it comes to her family. Bhavya arrives at the Oberoi mansion with the police force to arrest Shivay on Sunil’s complaint. She asks Shivay to come with them to the police station, where he can clarify things if he wants. She tells him that its a crime to threaten anyone. Omkara and Rudra get into an argument with Bhavya. She doesn’t deter and tells them that she will arrest Shivay for sure. Shivay calms down his brothers. He calls the commissioner and sorts the matter. He tells Bhavya that the complaint is void. Bhavya apologizes to Shivay on commissioner’s behest. Rudra mocks her for her ACP attitude. She makes an apology and goes. Omkara feels proud of Shivay for handling things so well. Anika decides to go for an interview. Gauri tells Anika that she has filled the application forms for exams. Anika gets worried since she has to pay Gauri’s fees on time. She gets her boyfriend Nikhil’s call and doesn’t seem interested. Rudra pities Bhavya. He insults her and asks her to know Oberois well before coming again. Bhavya tells him that she isn’t scared of him. Rudra laughs on her. They have a clash. Dadi calls Shivay for a talk. She tells him that she knows that he bribed the pandit to postpone his marriage. She asks him why did he hurt her heart by doing such a thing. She asks him to refuse directly. He apologizes to her. He tells her that he is scared of marriage after seeing his parents’ bad marriage. He doesn’t want to see a terrible future. She understands his pain. She tells him that it was more tough for her to see that bad day. She wants to see his happiness. She asks him to get married so that she can get satisfied over his future. He agrees to get married for her sake. She tells him that she will contact the pandit and get an early mahurat. She asks him to meet the pandit. Tia learns Shivay’s deed and asks him why is he avoiding the marriage, does he not love her. Anika meets Nikhil. Their relation seems dull. Anika tells him that she can do anything for her family, but she wants to be true. He apologizes to her and promises to return her money. She lends him money to fulfill his financial needs. She feels sorry that she isn’t able to help him in a better way. Gauri teases them for their date and asks them to get married soon. Anika tells Gauri that they are going to visit a temple. Nikhil tells Anika that he is waiting for the right time to talk about marriage. Gauri asks him to invite his parents to their home and fix the alliance. Nikhil promises to keep the meeting soon. Anika stays calm and relieved. Tia asks Shivay if he isn’t willing to marry. He tells her that he is marrying just for Dadi’s sake. Tia admits her love to him. She tells him that she is in love with him and she has full hopes that he will love her too. He clears out that love doesn’t seem to be possible between them. He asks her to accompany him to the temple. Gauri gets emotional thinking of Anika’s marriage. Anika tells her that Nikhil is a struggling lawyer in need of work, he wants good time to settle down and marry. She asks Gauri not to hurry, she doesn’t know what does love mean, but she is marrying Nikhil just because he is her childhood love. Gauri tells her that she will soon fall in love. Anika wants to gain respect by marriage. She thinks of the bad things associated with her mum’s name. She doesn’t want Gauri to know anything. Gauri asks Anika to stay happy and blessed. She wishes a rich and luxurious life for Anika. 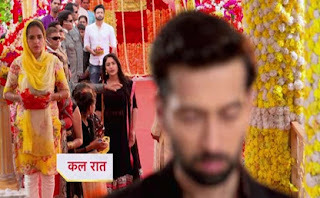 PRECAP : Anika Stops By Shivaay's Body Guard That He is VIP and Doing Pooja.Anika Taunts that why don't you make your own Temple.Shivaay Opens Eyes and Looks Back.